For a few years now I have said I wanted to qualify for the Boston Marathon, and I just made some day into February 6, 2011 (aka Super Bowl Sunday). 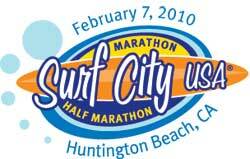 Last night I registered for the Surf City Marathon in Huntington Beach in hopes of getting below 3 hours 10 minutes 59 seconds to qualify for Boston. Previously, my fastest marathon was 3 hours 22 minutes and 21 seconds so I have a lot of work to do, but I’m encouraged by my 1 hour 32 minute performance at the 2009 Shanghai Half Marathon with not much training. I have lots of work ahead of me, but I am confident that I can make this happen. Wish me luck. I’ll try to post some updates as the training starts.